Cardiac rehabilitation takes place after a person experiences a heart attack or heart surgery. It is a personalized outpatient program designed to improve the patient’s heart health and reduce their risk of future heart-related complications. Cardiac rehab consists of several phases, such as monitored exercise, nutritional counseling, emotional support, education on lifestyle habits. 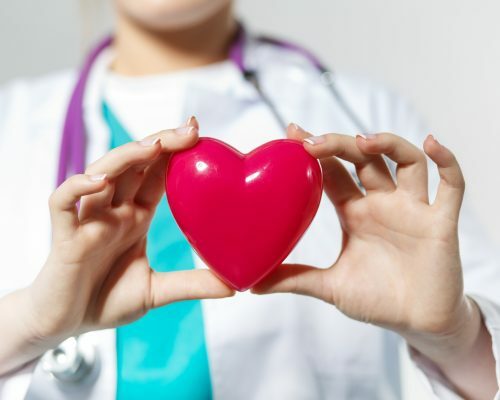 Cardiac rehabilitation increases one’s chances of survival after enduring a heart event as the program equips the patient with the necessary tools for maintaining a strong heart. The initial stages of cardiac rehabilitation last for several months. The patient works with a team of experts in order to develop a personalized plan for boosting their heart health. This team includes nutritionists/dieticians, nurses, cardiologists, family practitioners, physical therapists, occupational therapists, and psychologists or psychiatrists. There are four main parts to cardiac rehabilitation: Medical evaluation, physical activity, lifestyle education, and support. Medical evaluation: Ongoing medical evaluation will track the patient’s progress and detect any other changes that may occur in their health. Physicians will evaluate the patient’s risk factors for another potential heart episode. Physical activity: Heart health can be improved through physical training, such as walking, cycling, rowing, weightlifting, and other endurance activities. These programs usually start slow and work with one’s abilities, allowing them to progress over time. Lifestyle education: The patient is guided and educated on lifestyle habits that can reduce their risk of a cardiovascular event. The patient learns about proper nutrition along with quitting bad lifestyle habits. Support: Patients who undergo a cardiac event are at a higher risk of depression, which can negatively impact a person’s overall health. For this reason, support is often part of the patient’s cardiac rehabilitation in order to reduce their risk of developing depression and help them better adjust to changes that may have occurred since the cardiac event. The goal is to educate the patient well enough so that when treatment ends the patient can keep up with healthier habits to keep strengthening their heart health and reducing their risk of another episode. You can expect working with a group of health professionals, which involves learning about lifestyle habits, exercise programs, and diet in order to improve heart health. Your doctor will refer you to a facility that will be able to work with you in order to create a cardiac rehab program specific for your needs. You need to be open to the information you are receiving and ensure that you follow the plan that has been set out for you. Because cardiac rehabilitation is personalized for the patient, it is most effective when properly followed. Cardiac rehab can last for at least three months, but depending on the patient’s needs can span for much longer. Upon completion of a cardiac rehab program, the patient will have a greater understanding of the healthy lifestyle they will need to follow in order to maintain proper heart health.